Skydance Interactive's VR game Archangel gave us a powerful and versatile mech to control in the base game, but the entertaining experience limited mobility by unraveling the campaign as the giant mech moved on a predetermined path. Archangel: Hellfire, the all-new multiplayer expansion, removes that limitation entirely so players can walk, run, and jetpack the mechs all over a battle arena. The introduction of six degrees of freedom (6DOF) changes things in such a way that the team felt that they should break down just what players, new and old, are in for. Team members from Skydance Interactive and influencers that have played the game share their suggestions for beginners and, having played the game in our Reality Bytes VR live stream, we drop some highlights from their ideas that definitely helped our own experience. In addition to movement freedom, an additional interactive layer has been added that give players strategic options and enhance the immersion of Archangel: Hellfire. Every mech you choose in Hellfire features sliders that allow you to adjust what the mech's systems prioritize. For example, you can push speed to the max but that will come at the expense of defense and damage output. You can "set and forget" these sliders if you want to stick to a specific type of play style regularly, but the best pilots will learn to manipulate these sliders depending on the current situation in combat. Increase speed and shields to escape, increase damage and speed to flank, and other combinations. There are also three mechs that players will be able to choose from: Light, medium, and heavy. In the video above, the suggestion is to use the heavy style and increase your damage output so you can have some fun while learning the game's maps and mechanics. The light and medium have their strengths, but can be difficult to use correctly if you haven't mastered movement. They can't take a lot of damage, so dodging enemy fire and positioning well on maps are indispensable skills that lend to the effectiveness of those two mech styles. 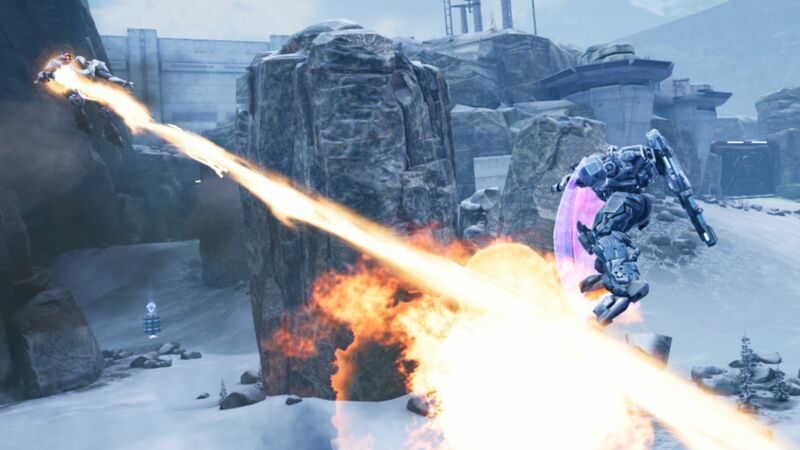 A significant key to learning position in the faster mechs involves how the shields work in Archangel: Hellfire. With each arm, you can either hold up a shield or fire your weapon. You'll have to actively position the mech so that the shield into the position of enemy fire or you risk leaving yourself exposed. Until you learn the best ways to do that, piloting the formidable heavy mech is going to be your best bet. Archangel: Hellfire officially launches today, July 17, 2018, and can be played on Oculus Rift or HTC Vive. Stay tuned to Shacknews for additional updates.